It's been a while since I've done a candle post, so I thought this would be the perfect time to show this gorgeous candle I've been loving this Summer. I picked up Pink Dragon Fruit on my birthday when Simon and I went shopping for the day. It was the first time I've been to an actual Yankee store, it was amazing having all those different scents to choose from, it's a candle lovers dream! 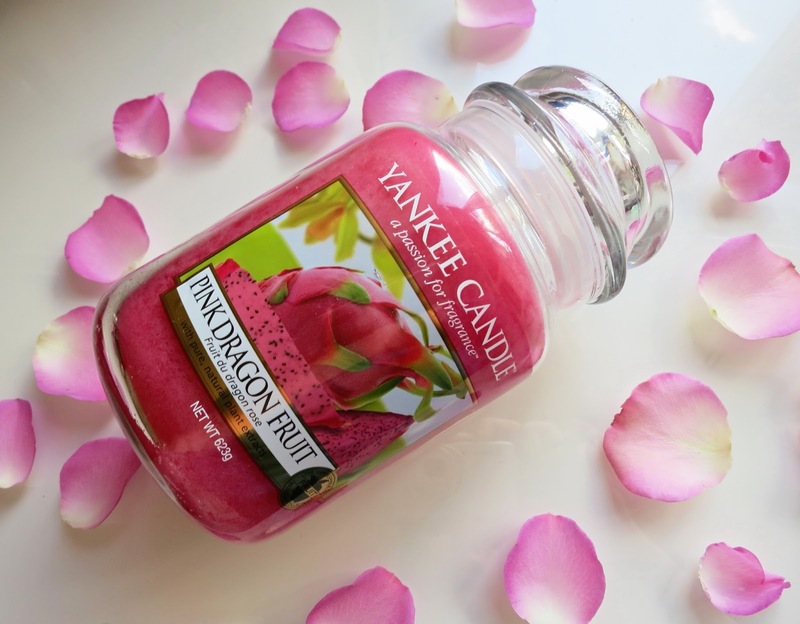 This is so perfect for Summer, it smells gorgeous and fresh with a fruity hit to it. I'm a sucker for the fruity scents, I always lean towards them! The scent is very tropical and sweet, making it very easy to take you away from the miserably British Summer (even if it is just for a few seconds whilst you give it a whiff!). Of course it has the beautiful vibrant pink to match the exciting tropical sent. It's a very pretty candle, I really didn't want to burn it as it looks so pretty on my makeup table! I couldn't resist though as it smells so tropical and Summery. Pick up Pink Dragon Fruit here you won't be disappointed, it's only £14.99 at the moment! Have you tried Pink Dragon Fruit? Do you have any candle recommendations for me?